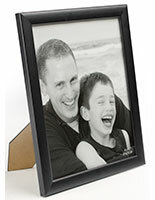 Black Portrait Frame: 8" x 10"
A portrait frame, also known as a photo holder, is perfect to use in a traditional setting. It features a matte black finish and beveled edges. 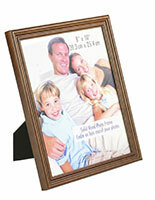 Rest this wooden photo holder, portrait frame on a tabletop horizontally or vertically, or mount on a wall. 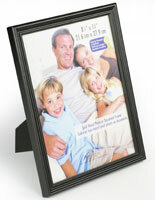 This picture frame is the portrait frame to display your child's school photo or a favorite family portrait! 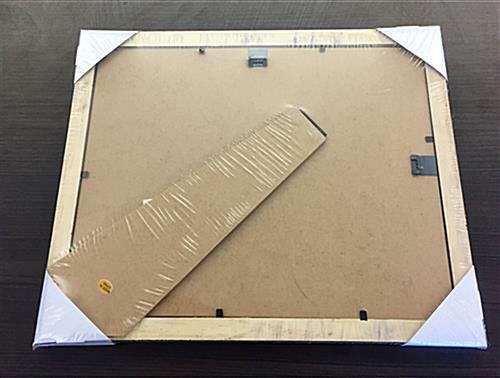 This portrait frame is easily assembled. Simply lift up its metal tabs to remove its backing. 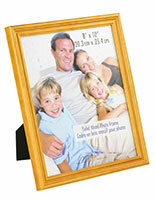 Position your portrait onto its protective glass lens and replace its back by pushing down on its tabs. 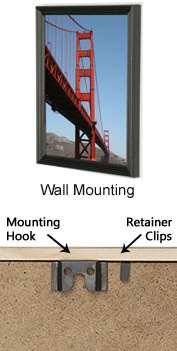 You may rest it in either landscape or portrait orientation on a desktop, or mount on a wall using the hooks located on its backside. 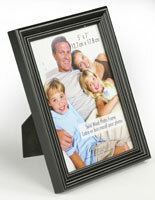 This wooden picture frame, portrait frame will showcase and preserve your special pictures for years to come! I ordered these for some canvas art work I did for Christmas and my work looks great in them! I will surely buy them again! 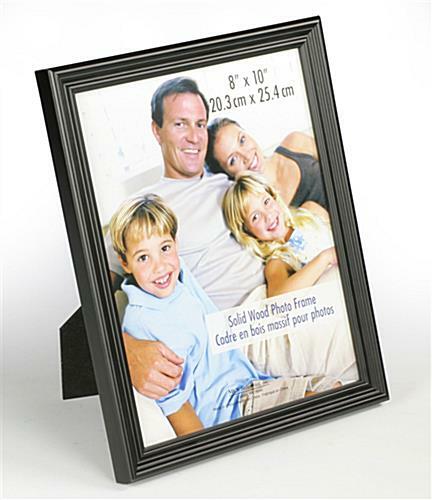 Love these - nice frame for cheap! 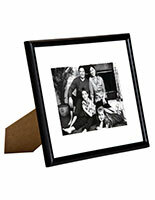 They are picture frames, what more can i say? 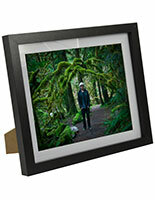 Nice inexpensive frame. Ordered 10, all arrived intact. Will be buying again. Thank you Kathy, and thank you in advance for your repeat business! 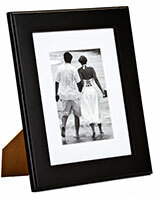 I was looking for a real wood frame that is simple, sturdy, yet inexpensive, and this fills the bill. We are a non-profit arts organization that will be holding an exhibit of art created through a mental health wellness program, and these frames will showcase our participants work very nicely without breaking the bank.